I took this photo on Mansei-bashi Bridge, which located near Akihabara train station. 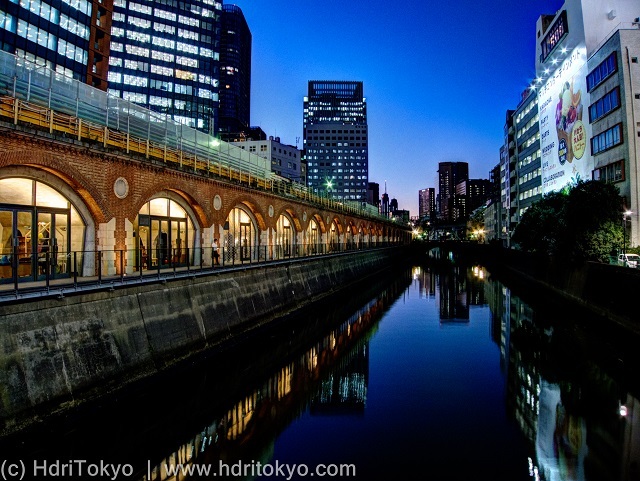 You can see Manseibashi railway viaduct along the river. I like the red bricks of the viaduct. Shooting date : December 2 , 2014.